Hughes Network Systems, LLC (HUGHES) has been awarded a contract from Boeing to develop mission management, system control, networking and ground hub capabilities in support of an anti-jam satellite communications capability for the U.S. Air Force’s Protected Tactical Enterprise Service (PTES) program. 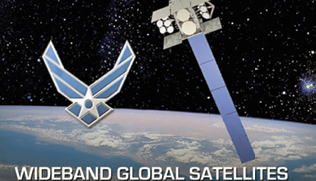 The PTES program will provide tactical warfighters with a joint ground platform designed to deliver protected communications services through the Wideband Global Satcom (WGS) satellite constellation, commercial satellites and in the future, the DoD’s Protected Tactical Satellites running the Protected Tactical Waveform (PTW). Hughes will design PTES sub-systems to support these tactical capabilities in the first phase of Protected Anti-Jam Tactical Satcom (PATS). The PTES technology developments will use an Agile Project Management approach required under the PTES contract. The contract work was initiated in late 2018 and is expected to run through 2025. Dr. Rajeev Gopal, VP and Hughes program manager for PTES, said the company is developing a state-of-the-art, containerized software design for PTES data, control and management functions with scalable architecture to enable the use of advanced artificial intelligence and machine learning techniques. Rick Lober, VP and GM of Hughes Defense and Intelligence Systems Division (DISD), reported that the company looks forward to working with Boeing and the USAF in applying the firm’s more than four decades of experience in developing SATCOM networks and management systems for commercial and government enterprise applications. Lober added that Hughes is committed to building and supporting secure global communications networks, and their team is dedicated to helping provide the DoD a highly resilient, tactical network that will enable mission success in contested environments. DARPA has announced the DARPA Launch Challenge, designed to promote rapid access to space within days, not years. The U.S. space architecture is currently built around a limited number of exquisite systems with development times of as much as 10 years. With the launch challenge, DARPA plans to accelerate capabilities and further incentivize industry to deliver launch solutions that are both flexible and responsive. The commercial small-launch (10 to 1000 kg.) industry has embraced advances in manufacturing, micro-technologies, and autonomous launch/range infrastructure. DARPA seeks to leverage this expertise to transform space system development for the nation’s defense. Frequent, flexible, and responsive launch is key to this transformation. In late 2019, qualified teams will compete for prizes, with a top prize of $10 million. Teams will receive exact details on the payload in the days before each of the two launch events, with only a few weeks’ notice about the location of the first launch site. Once they successfully deliver their payload to LEO, competing teams will get details of the second launch site. Teams again will have just days to successfully deliver a second payload to LEO, for a chance at a prize. Final ranking for the top three prizes will depend on speed, payload, mass, and orbit accuracy. DARPA is coordinating closely with the Federal Aviation Administration (FAA), which is responsible for granting licenses for commercial space launches and will be involved throughout the challenge. Competitors participating in the DARPA Launch Challenge are required to obtain FAA licenses for all launch activity conducted under this effort. A competitors’ day with representatives from DARPA and the FAA will be held in Los Angeles on May 23, 2018. To register to attend or for additional guidelines on how to participate in the challenge, please visit www.darpalaunchchallenge.org. Todd Master, the DARPA Launch Challenge program manager for DARPA’s Tactical Technology Office, said current launch systems and payload development were created in an era when each space launch was a national event. DARPA wants to demonstrate the ability to launch payloads to orbit on extremely short notice, with no prior knowledge of the payload, destination orbit, or launch site. 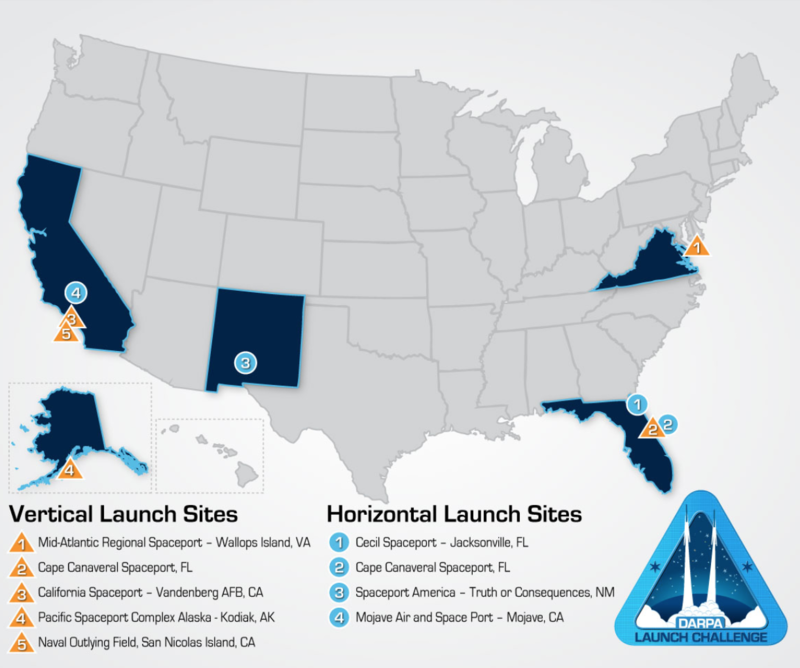 The launch environment of tomorrow will more closely resemble that of airline operations — with frequent launches from a myriad of locations worldwide. The new hardware will provide the same functionality as today’s system, making it easy to learn and operate. Additional benefits are significant reductions in power and cooling consumption. Most of these reductions are because all of SPADOC’s capabilities are now integrated into two small server racks instead of spread over 1,000 square feet of an aging, analog computer system. 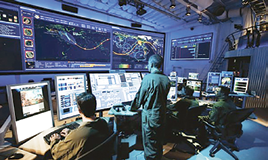 Dave Fuino, program director for Raytheon Intelligence, Information and Services, said that within just a few months, the company brought together a team, developed the technology to modernize it, got it on contract and held a series of demos to prove it worked. He added that the company went from concept to proving the solution in less than a year, which is really remarkable. Between the experience of the company’s NORAD teammates, a.i. solutions, Zivaro and E&M Technologies, and leading emulation companies Fundamental Software and M2 Technologies, Raytheon addressed the aging SPADOC system — this is a game changer. Hughes Network Systems, LLC (HUGHES) has been awarded a two-year Cooperative Research and Development Agreement (CRADA) by the U.S. Army for the third phase of the Blue Force Tracking (BFT-3) program. Under the agreement, Hughes and other industry participants will conduct research studies to deliver a series of recommendations for modernizing the BFT system architecture to improve interoperability and resiliency, as part of an Open System Architecture (OSA) consortium working to achieve more flexible network tracking of friendly force locations. Hughes will present recommendations to bolster operational resiliency with emphasis on maintaining communications in contested environments. Rick Lober, VP and GM of Defense and Intelligence Systems at Hughes said the company will define the open architecture of next generation systems and looks forward to providing a unique perspective to the effort as one of the world’s largest commercial suppliers of satellite communications equipment and services. 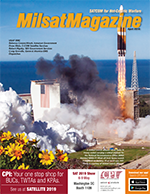 NSR’s Government & Military Satellite Communications, 15th Edition, focuses on commercial satellite connectivity services for government and military markets. In this15th edition, this report continues to provide definitive insights into this rapidly changing market. 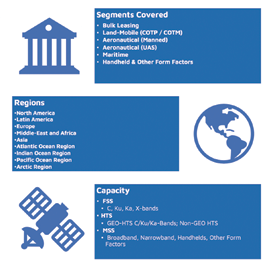 Covering all core opportunities, the report explores the interplay of MILSATCOM vs. COMSATCOM acquisitions, the role of X- and Ka-bands, and other core trends impacting players in the sector. 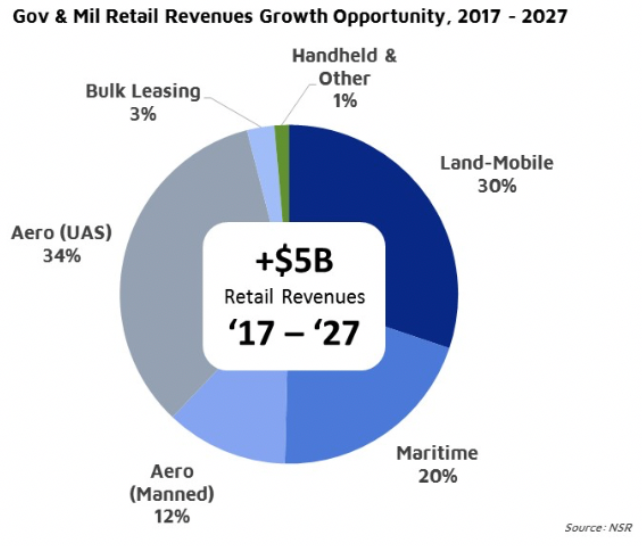 Cutting across bulk leasing to the latest Unmanned Aircraft Systems (UAS), this NSR report offers the clearest picture of the opportunities within government and military SATCOM markets. 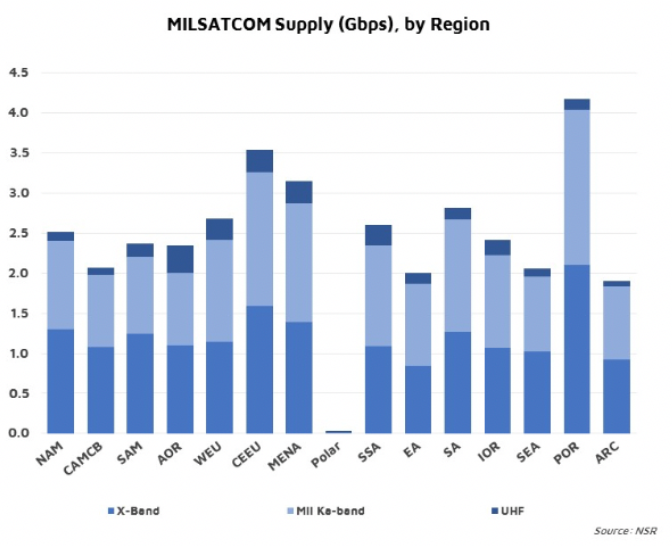 As consolidation occurs among service providers, the U.S. Government is exploring streamlining satellite connectivity acquisition, and commercial sectors are preparing for the Non-GEO HTS revolution. All these trends have real-world impacts across the value-chain, from where to spend R&D resources to what capacity to consider leasing. 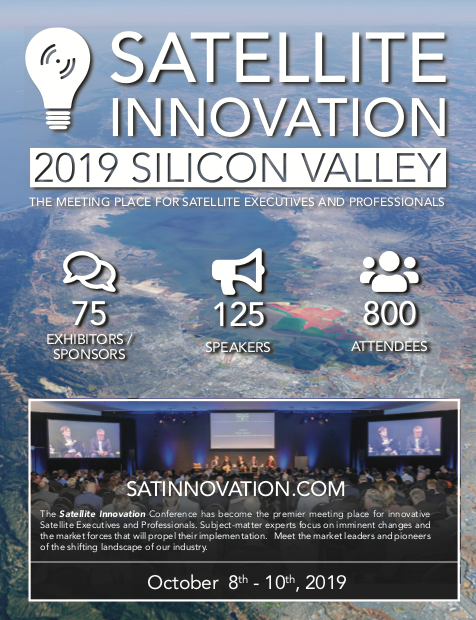 With spending on defense on the rise across the globe, satellite connectivity services will be a key component of a sensor-fused, highly connected operational environment of tomorrow. This NSR report offers analysis on eight unique segments, across 12 capacity types and 8 major regional splits. 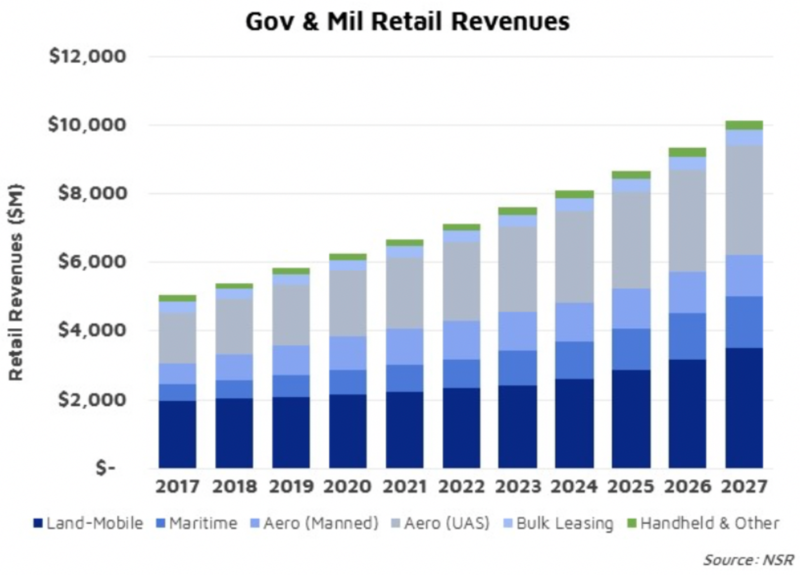 Forecasting In-Service Units, Revenues and Capacity demand, the report provides a complete assessment of the Bulk Leasing, Land-Mobile (both COTP and COTM), Maritime, Aeronautical (both Manned and Unmanned platforms), and Handhelds & Other Form factors. With comprehensive, historical comparisons plus a 10-year outlook, the report provides key insights on major trends, drivers and restraints impacting the market. Urgent depot-level repairs needed by the Pennsylvania National Guard 28th Infantry Division warranted Tobyhanna Army Depot make a trip to Ft. Indiantown Gap, Annville, Pennsylvania during the first week of March. Satellite Transportable Terminals required for upcoming deployments. Four technicians worked with soldiers from across three brigades to repair, troubleshoot and test 14 Satellite Transportable Terminals (STT) with the goal of having as many functional systems as possible by the end of the week, using the Divisions spare equipment. Team Tobyhanna provides comprehensive services at sites around the world. A total of 12 systems were repaired throughout the week. The systems were prioritized based on upcoming operational missions. Some systems were required for overseas deployments immediately while others are needed for Joint Overseas Training events in Europe by the end of the month. The remaining systems were assessed to identify parts the unit would need to order and install at a later date. By having agile teams to support units with urgent needs, Team Tobyhanna is effectively driving readiness to the field by keeping the fleet fully mission capable. “We’ve been attempting to pull this off for a while; but with our missions developing overseas, these STTs needed to get taken care of right now,” said Maj. Jeremy Coleman, State Surface Maintenance Manager and Commander of the 328th Brigade Support Battalion at Fort Indiantown Gap. During missions like these, Tobyhanna technicians also have the opportunity to leave a lasting impression on the soldiers. As they work with them to repair the systems, they develop skill sets that can be transferred to the field, which can help to extend the period before the system will need this level of repair again. “The team always enjoys missions like this. 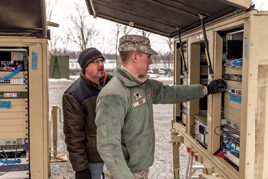 We get to directly affect the units C4ISR readiness and prepare them for their upcoming missions,” said Tony Brandi, Electronics Mechanic supervisor of the Tactical Satellite Communications branch. He also noted that this mission was particularly special to him because he was assigned to this Division for 11 years before retiring in 2016.
to complete one of the satellites. Photo by Thomas Robbins. Going forward, Tobyhanna Army Depot plans to continue supporting urgent depot level repairs, ensuring units and systems are postured for current and future operational missions. Tobyhanna Army Depot is a recognized leader in providing world-class logistics support for command, control, communications, computers, intelligence, surveillance and reconnaissance systems across the Department of Defense. Tobyhanna’s Corporate Philosophy, dedicated work force and electronics expertise ensure the depot is the Joint C4ISR provider of choice for all branches of the Armed Forces and industry partners. About 3,200 personnel are employed at Tobyhanna, which is located in the Pocono Mountains of northeastern Pennsylvania. 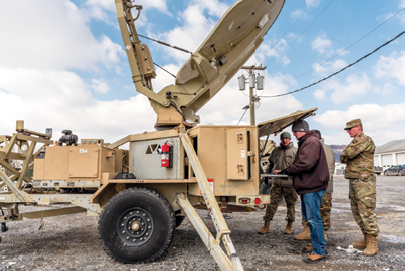 Tobyhanna Army Depot is part of the U.S. Army Communications-Electronics Command. Headquartered at Aberdeen Proving Ground, Maryland, the command’s mission is to research, develop, acquire, field and sustain communications, command, control computer, intelligence, electronic warfare and sensors capabilities for the Armed Forces. Curtiss-Wright’s Defense Solutions division has added Tactical Communications Group (TCG), LLC, a global provider of tactical data link (TDL) software and hardware solutions to military operating and training units, government testing organizations and prime defense contractors. 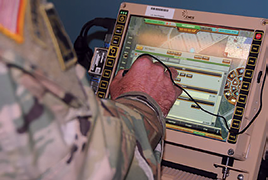 TCG’s proven Commercial-Off-The-Shelf (COTS) TDL software solutions minimize the time and effort required to build, integrate, test, train and deploy effective and affordable military communications systems. Curtiss-Wright Corporation announced the acquisition of TCG on March 18, 2019. The acquisition strengthens the Defense Solutions division’s technology offering, enabling it to expand into the complementary TDL training and testing market and apply TCG’s communications expertise across its entire catalog of embedded hardware solutions. Curtiss-Wright’s Flight Test Instrumentation (FTI) customers are expected to benefit from the addition of TCG’s TDL communications software into Curtiss-Wright’s industry leading data acquisition hardware products. Additional market growth is expected to result from the combination of TCG’s and Curtiss-Wright’s worldwide military customer base, increasing opportunities to provide TDL and FTI solutions with higher levels of integration, all from a single supplier. The acquisition will also provide an opportunity to broaden Curtiss-Wright’s Aerospace Instrumentation product offerings by expanding the application of its FTI solutions beyond test programs into operational bases. Lynn Bamford, SVP and GM, Defense Solutions division, reported that TCG’s unique position as a leading supplier of software for the test, simulation and operational training of Tactical Data Links adds world-class data analytics and visualization capabilities to Curtiss-Wright’s Aerospace Instrumentation product offerings. Further, the combination of Curtiss-Wright’s complementary U.S. military customer base is expected to provide excellent growth opportunities for the company’s existing Flight Test technologies and TCG’s software applications.